During the Month of November, exactly when Thomas, the owner of Fourerr grows his moustache we are giving away 8 Amazon vouchers of $25. Get a chance to win these vouchers by entering below. In order to increase your chances you need to Tweet, share on Facebook, +1 Fourerr or just share with your friends. The more entries you have, the more chances you make. As simple as that. 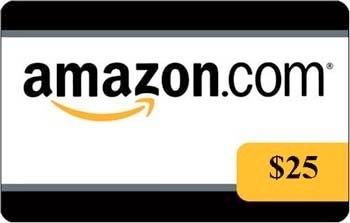 During the month of November we are giving away 8 Amazon vouchers of $25. So what are you waiting for? Get starting now. Checkout Fourerr.com in the sidebar. There is a widget which is called the “Fourerr November giveaway” or click in the widget at the bottom of this post. The more you share the more chances you have to win. You can also share the special URL with your friends to get 5 extra entrees.